Start taking classes at Foxy Fitness and Pole and other studios! Explore the Art of Pole Dancing with a pole routine geared towards increasing your pole abilities. Our Foxy POLE class uses progressive pole routines that increase in skill and duration each time you come in. You will gradually build on your routines and run through them repeatedly. As the routines lengthen and moves become more difficult, you will begin to feel the workout aspect of poling while you develop the full routine. We take our time to focus on proper technique, form, terminology, and performance and competition etiquette. Foxy FLEX Find Your Inner Foxy through this pole fitness training that uses pole drills and exercises to strengthen, tone, and increase flexibility. 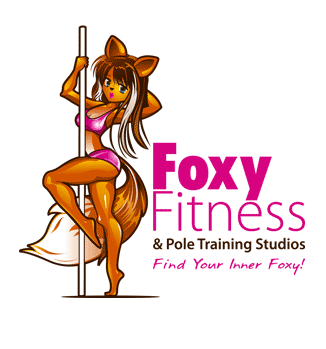 Foxy FLEX serves as a great complimentary class to the pole and will get you shredded while building up your grip, limberness, pole stamina and ability. Also serves as a great low-impact cardio workout. Please bring a valid form of identification to class. Shorts are REQUIRED for class participation. Group classes are for females only! This studio is conveniently located in the heart of midtown Manhattan, just two blocks from Penn Station and the 33rd Street NJ PATH. Everyday with Zoe, wouldn’t be enough. She can make a notice dancer fell like a pro. Hanna is always really creative! Amazing class! First class at this studio and loved it. Zoe is engaging and the class was challenging but not too fast. Technical and fun! Got to learn some new moves which is always fun! Wish I could dance with ZOE everyday. Great combination. Great teacher. This is not a class for people who have never Pole danced. So please don’t waste the teacher’s teaching time &amp; slow the rest of us down. First time taking Bendy &amp; Flexy. I really enjoyed the small group feeling &amp; personal attention from the instructor. I really feel this class is going to help improve my flexibility. Looking forward to adding this class to my weekly schedule. my fav all time teacher. Instructor wasn’t good. The more experienced people in the class would take their time on the poles so only got about 15 minutes of practice during the class. No clear class structure.